Join us on Friday and Saturday, September 30 and October 1, 2016, for Saint Benedict Center’s annual conference. You may register online or by telephone: (603) 239-6485. Where: Saint Benedict Center, 95 Fay Martin Road, Richmond, New Hampshire, 03470. When: Friday and Saturday, September 30 and October 1, 2016. Both will be full conference days. How Much: Go here for price and schedule. Register now! Click here or call (603) 239-6485. 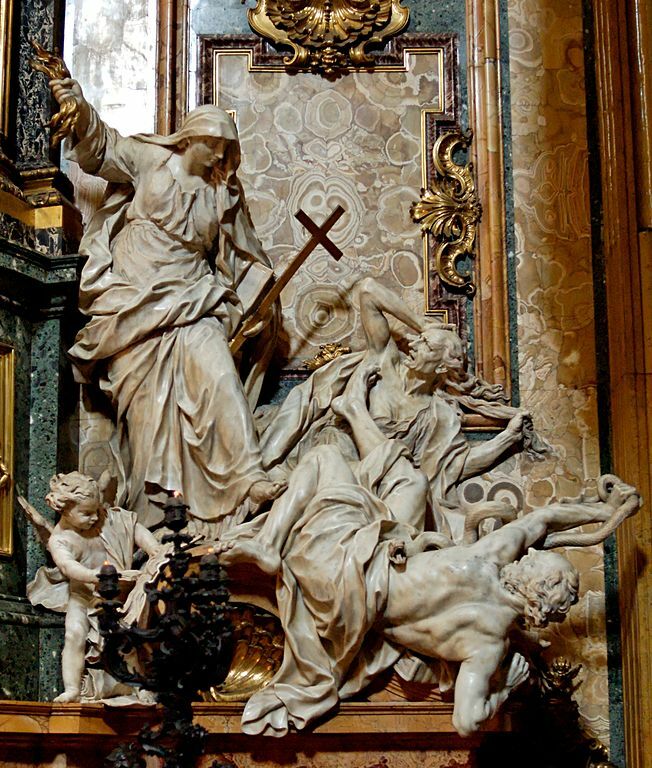 Religion Overthrowing Heresy and Hatred, by Pierre Legros the Younger (1695–1699), in the Church of the Gesù (Jesuit Mother Church), Rome. Luther and Calvin, with their condemned works, lay defeated, the angel tearing pages out of their books (source). 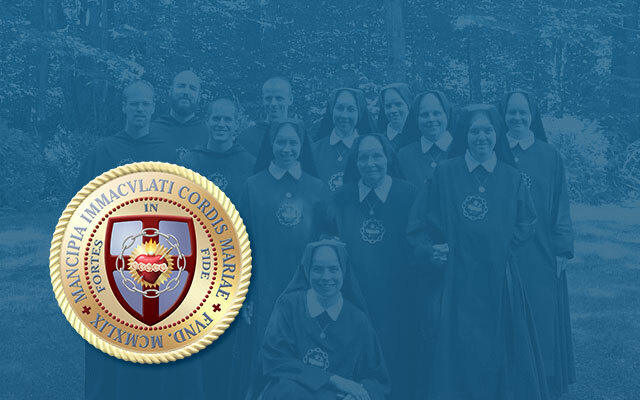 The Holy Sacrifice of the Mass will be offered according to the traditional Roman Rite (“Extraordinary Form”) during the conference, as it always is offered at Saint Benedict Center. There are a limited number of Saint Benedict Center community members who are willing to host conference attendees on a first-come, first-served basis; please call Russell at (603) 239-6485 for details. There are several hotels in the Keene vicinity, but reservations should be made early because of tourism during the foliage season. Some include: Best Western Hotel & Suites (603) 357-3038; Holiday Inn Express Keene (603) 352-7616; Days Inn (603) 352-9780; and Super 8 Keene (603) 352-9780. There are also bed-and-breakfasts in the area; call for details. For those interested, there is a campground three miles from the Center: Shir-Roy Campground (603) 239-4768. For more information or to register by phone, please call Russell at (603) 239-6485.